This distinctive matcha bowl has a slightly asymmetrical shape. 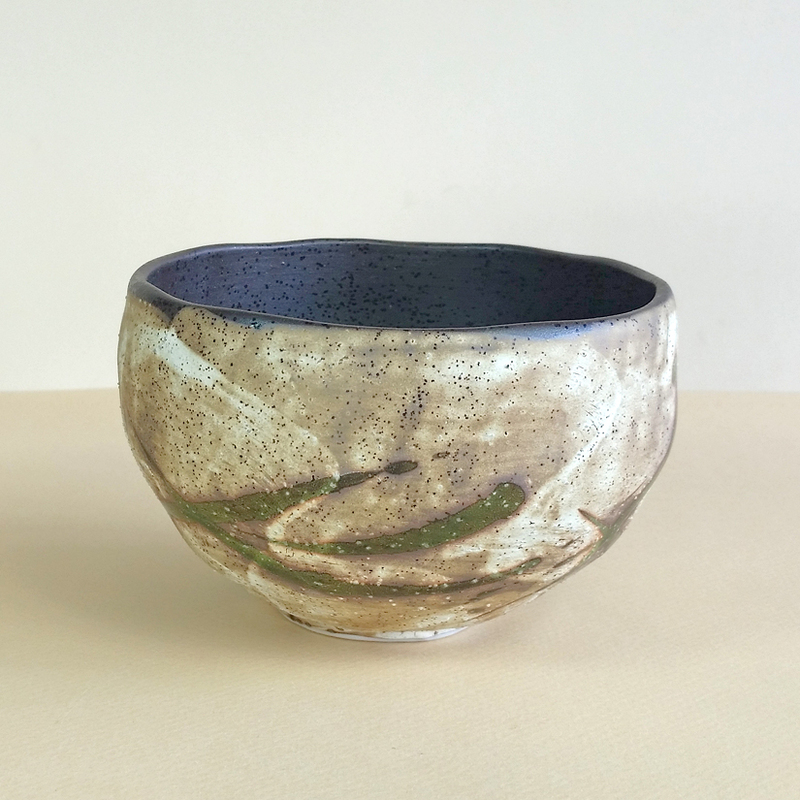 The base of the bowl is intentionally offset from center and the bowl’s sides have a subtle difference in slope to compliment this placement. 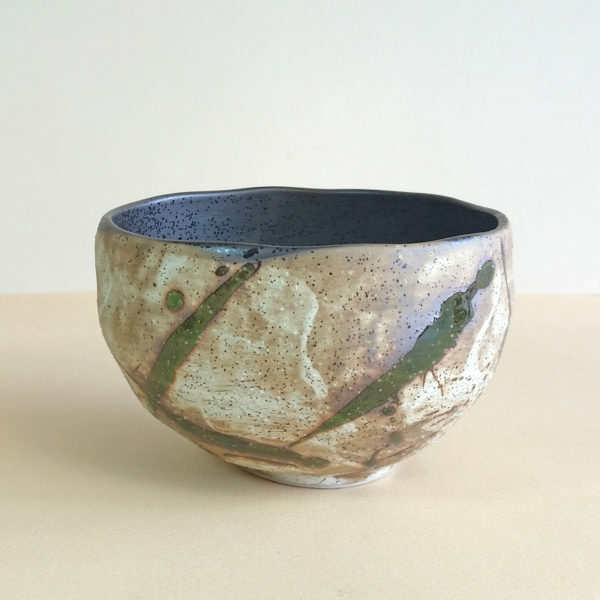 The bowl’s exterior is lightly textured and decorated with a series of dark green splashes over a beautiful wash of matte cream and tan tones. 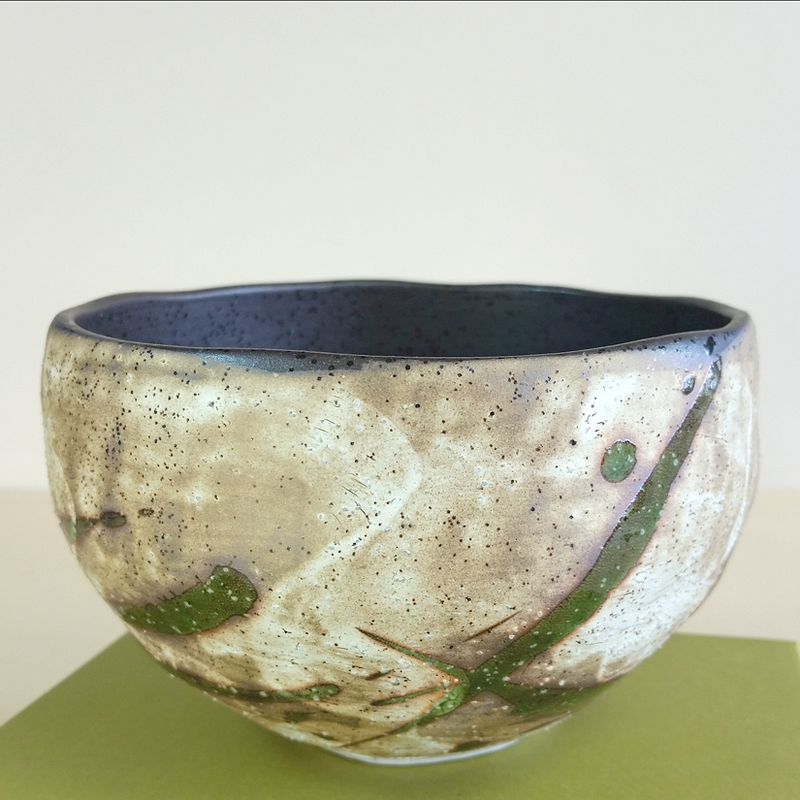 With its unique shape and decoration, this matcha bowl stuns from every angle. We like to refer to the interior as an ‘infinity wash’ because it is reminiscent of the night sky. It serves as an awesome background to the pure green of the matcha. 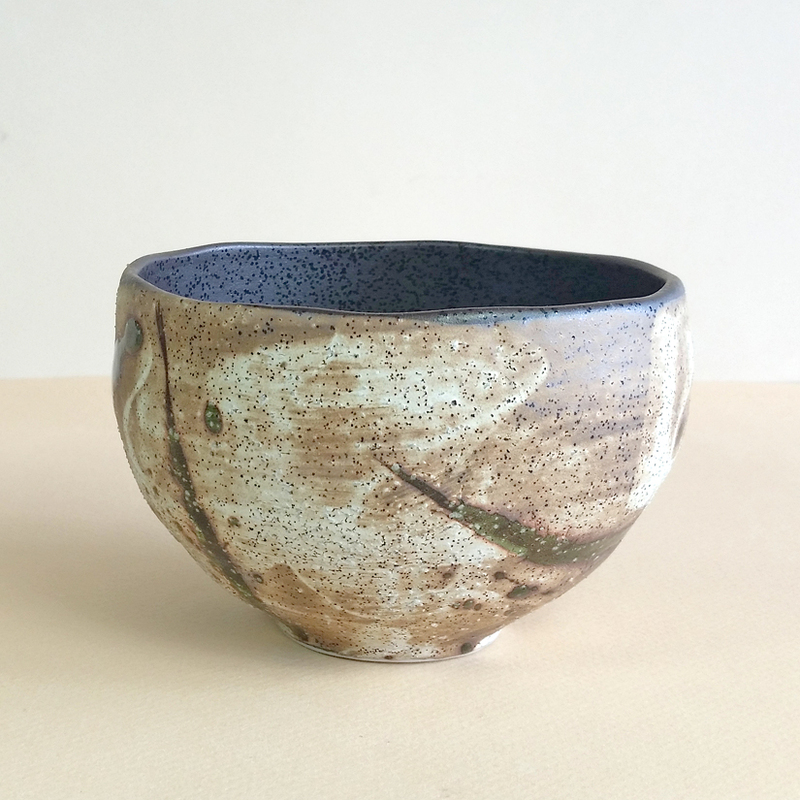 The colors in this teacup and the feeling of the clay body are reminiscent of the pottery developed by tea master Furuta Oribe (1544–1615), which continue to be made today in Japan. 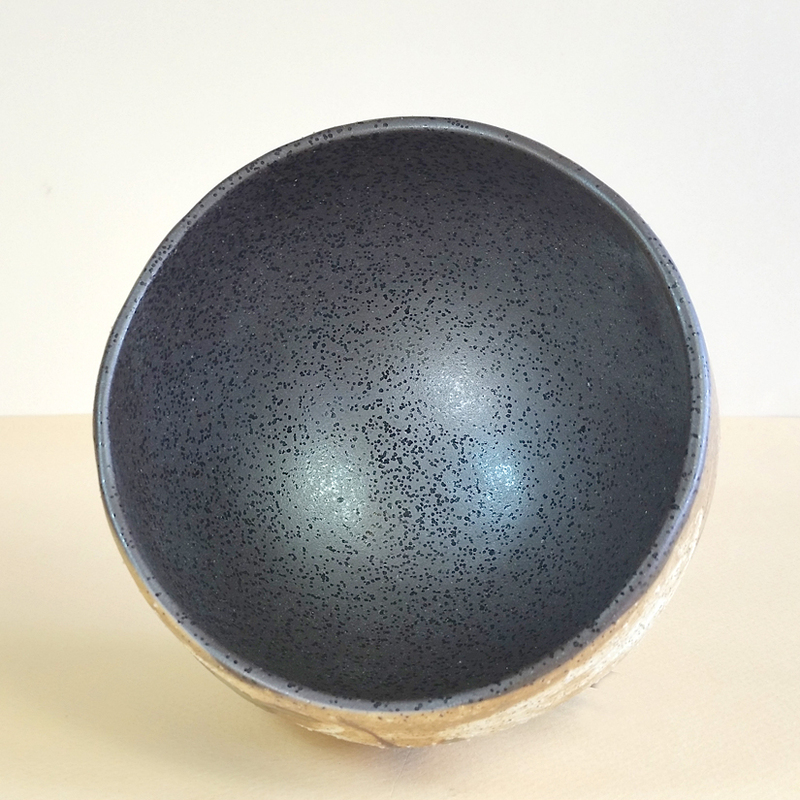 Although this bowl is signed on the base, we are unable to read the mark.